It’s a deliberately inflammatory article title, but as I age, I find myself getting more and more annoyed with the abundance of “Bad Shakespeare” out there. 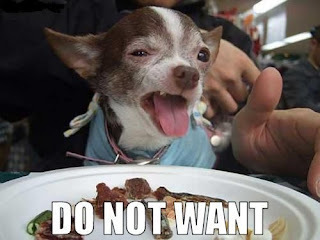 Exhibit A: a screen capture of a Google image search for “To Thine Own Self be True” necklaces. Lots and lots of necklaces celebrating...Polonius? Months will pass. Babies will be born, people we love will die. Students will groan that they have to read Romeo and Juliet or Hamlet and put off writing term papers until the wee hours in the morning – wee-er than the little dog up there. But some things remain the same: these necklaces are always at the very front or very back of those magazines. You can see from the thumbnails here that they are wildly popular, available in various sizes and shapes – even the Möbius band -- which makes the Shakespeare quote on them appear even more cosmic or esoteric. Of course, it’s not esoteric. Shakespeare penned the phrase, in what is, by many, considered to be the pinnacle of his dramatic achievements: Hamlet. The sentiment in the words appeals to our modern sensibilities because it echoes much of the philosophy we associate with our age: a knowledge of self and science, an enlightenment, a cogito ergo sum, if you will. Where, then, is the harm? 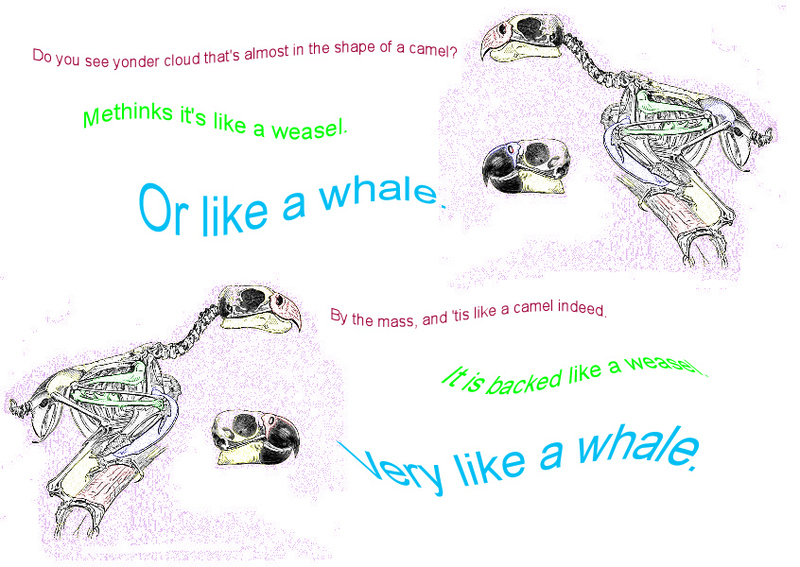 Polonius: By the mass, and 'tis like a camel indeed. 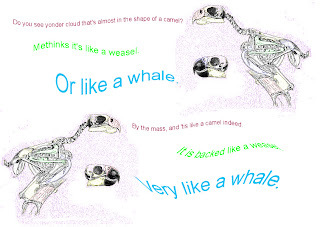 Hamlet: Methinks it's like a weasel. In his brief stage life, Polonius is never true to himself. He is officious, meddlesome – even willing to risk his own daughter’s safety and sanity to stay in the good graces of Claudius and Gertrude. 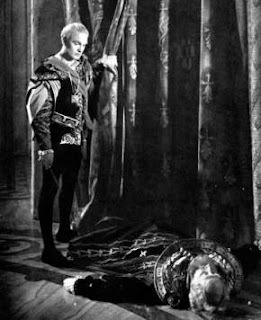 By the time Hamlet stabs Polonius in the queen’s chambers (which, now that I see that written down, seems like I’m playing medieval-by-way-of-Renaissance-Clue), we understand that Polonius is the least likely character to remain true to himself. Excellent. No more Polonian pith. On to uncover Old Hamlet's murder! before Gertrude can take no more and cuts him off with, “More matter, with less art.” Here again, while the phrase itself is pithy, it only remains so if one is unaware of the speaker or context. Do you have a Polonius necklace? Do you like to remind people that 'Brevity is the soul of wit'? 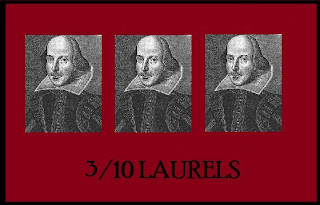 Weigh in and let Bad Shakespeare know if we should eat crow. 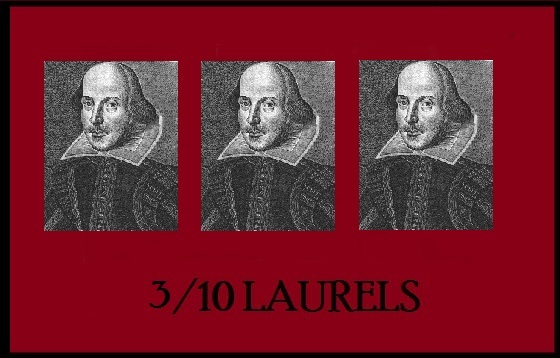 What a great take on the Bard! So let me throw in my two cents. Saw a production of the Scottish play in which the word "before" was apparently misunderstood by everyone doing the show. Set in a future (for what reason I know not) there was an empty onstage, upright, and uncovered. The lead, in delivering the line "Is this a dagger I see...(etc)" approched the drum, looked down into it, and said into the open drum: "Is this a dagger I see before me? (followed by what I might be mistaken was a " me, me, me, me, me, fading into the distance. And you talk about bad Shakespeare! You've got to be kidding! Keep up the good writing! Appreciate you efforts! Sorry, "...there was an EMPTY STEEL DRUM onstage, upright..." didn't copy and paste. Apologies! As to the point of the project: Precisely!